Draw two cards. 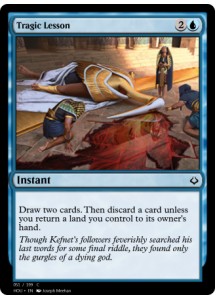 Then discard a card unless you return a land you control to its owner's hand. 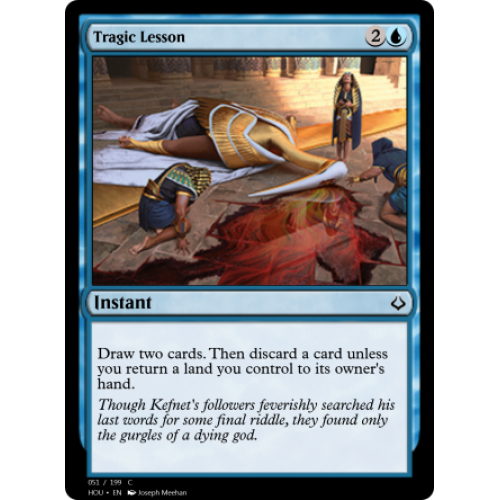 Though Kefnet's followers feverishly searched his last words for some final riddle, they found only the gurgles of a dying god.